THE SPOTTED HARE: A Wild Hare Wednesday! Our snow came much before and then after Christmas this year. At the moment our ground is white and the neighborhood looks quite peaceful ! Created from beautiful antique mohair. 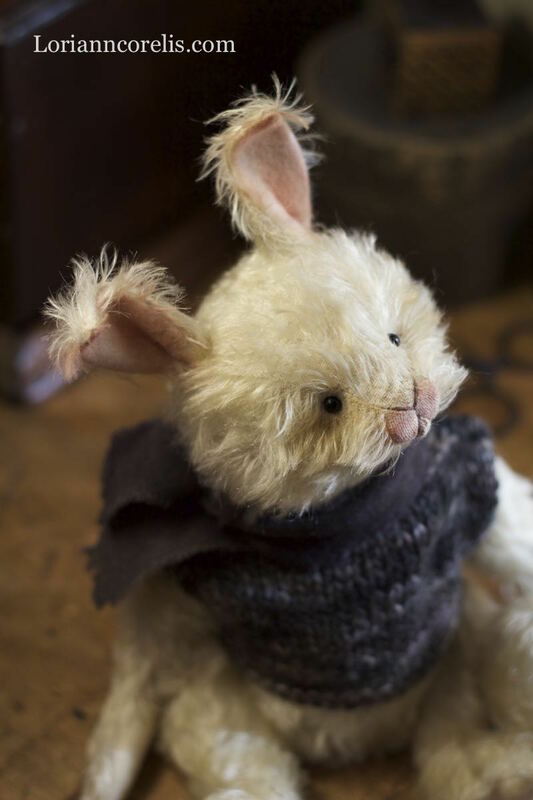 Snowy is about 12" to his ear tips and has wool felt paw pads and ear linings. His little glass eyes sparkle with mischief! He is stuffed heavy with steel shot and pellets to be ever so cuddly! 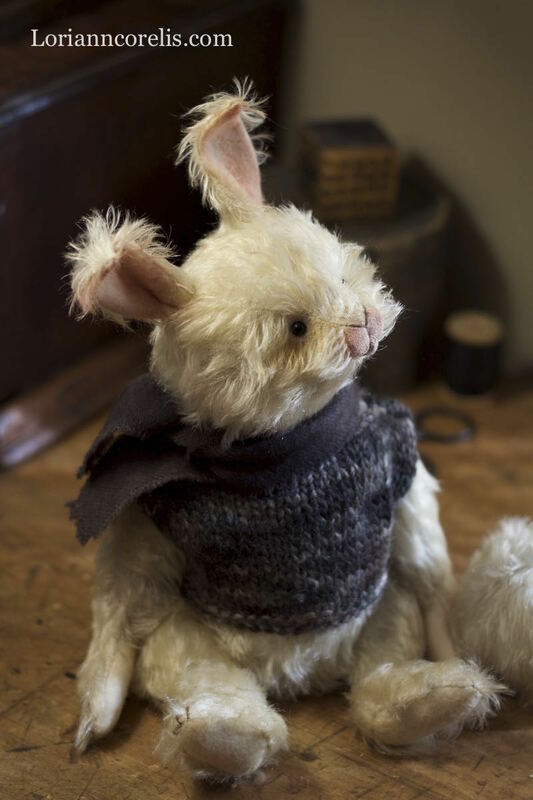 Snowy wears a custom knit jumper and woolen scarf. Be careful . . . he has his own mohair snowball and he might just throw it at you! Have a happy, snowball kind of day! Snowy is a real character with his snow ball. I love his cheeky face.